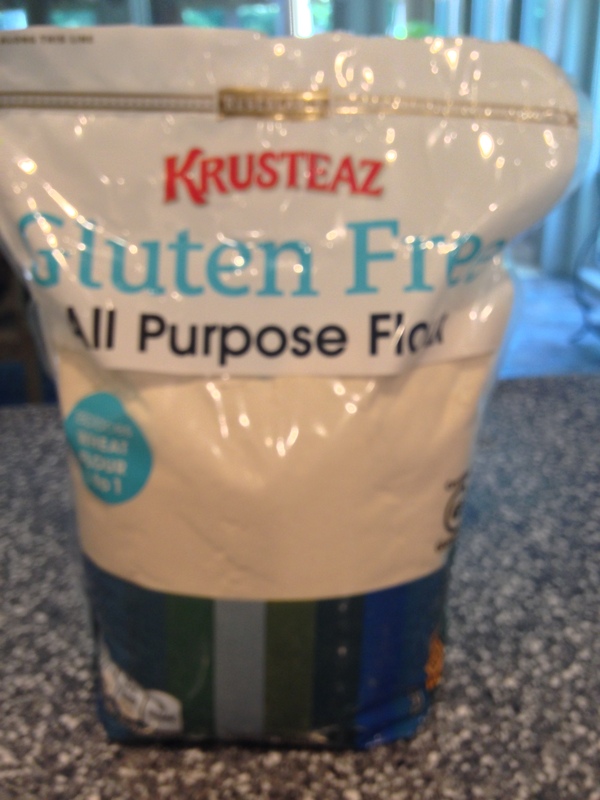 Making my french toast recipe gluten free! So when I first went gluten free a few weeks ago I had bought Ian’s brand French Toast Sticks. They were almost inedible. Gross. 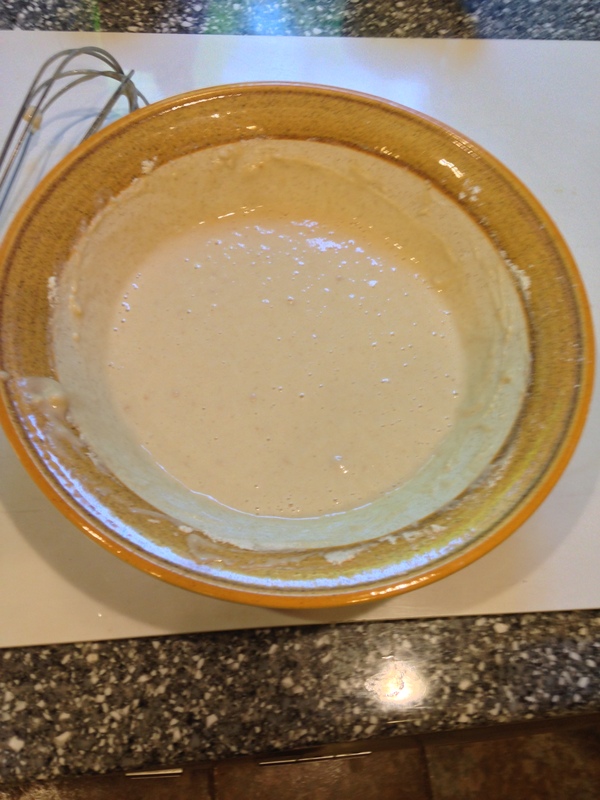 So, today I decided to try to re-make my own recipe I had made a long time ago to also be gluten free. It worked better than I thought it would, and was quite tasty, but I can’t say it’s as good as the non-gluten free version. It’ll have to do, though since I feel much better being gluten free. I also recommend adding 1 tbsp maca powder for a more buttery, maple taste that will improve the flavor. If not, maybe try adding at least one more teaspoon of maple syrup. The bread I used was Ener-g’s brown rice loaf. 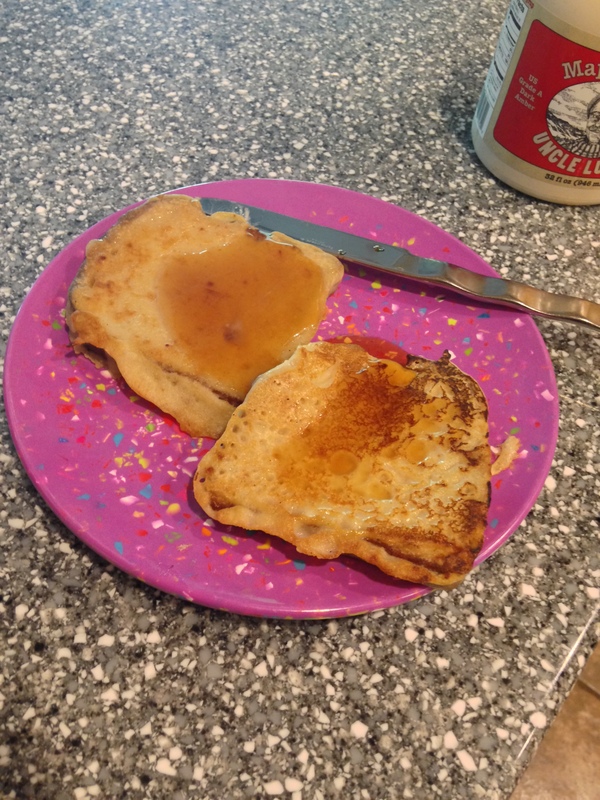 It had been frozen and defrosted, which I think may have contributed to it’s ability to fry better in the batter because it was a bit stiffer. So, yeah, now I can eat one of my favorite foods as a vegan AND gluten free person! Yay!